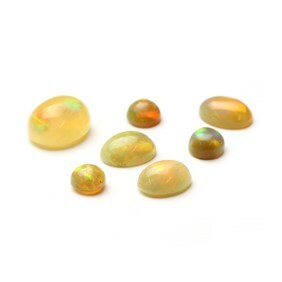 These Ethiopian opals have an excellent fire right across the colour spectrum when viewed in sunlight. 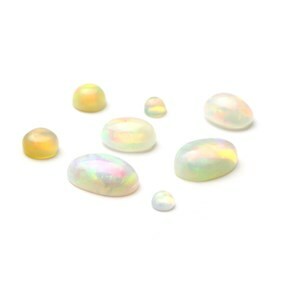 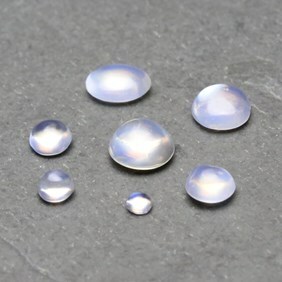 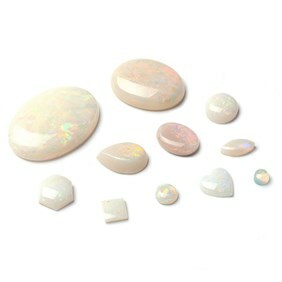 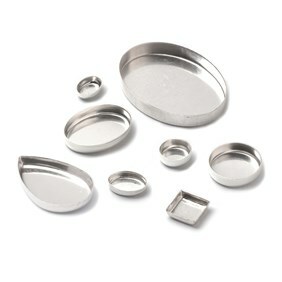 They have a denser base colour which resembles Mexican opal in colour particularly on the 5mm round varying from white to pale, golden orange, whilst some of the larger sizes have a variation with some having a deeper, golden - smokey brown colour base and others more of a solid white base. 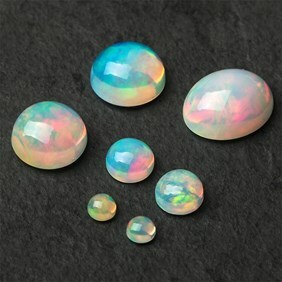 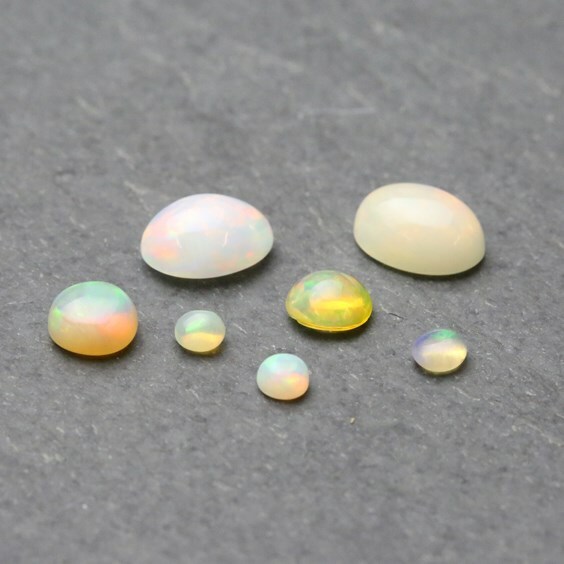 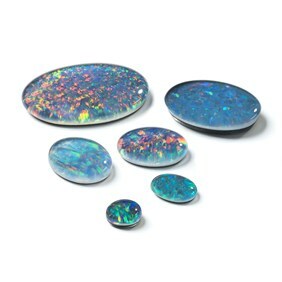 These Ethiopian opals they all have the beautiful characteristic play of colour or opalescence commonly associated with opals (which is extremely difficult to photograph and is better than the photograph suggests). 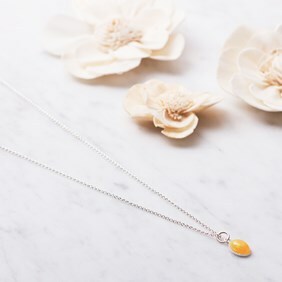 If you have a preference in colour please add a comment in the special instruction box and we will do our best to accommodate this.